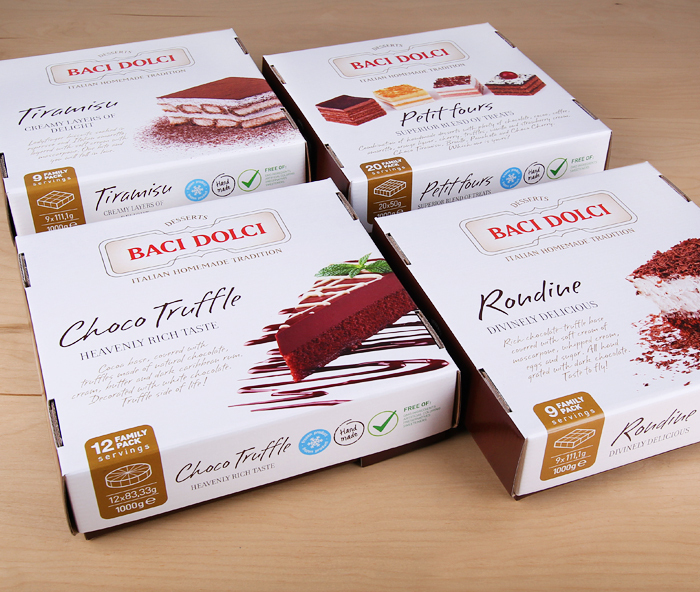 Baci Dolci is a Bulgarian company, producing handmade frozen desserts. 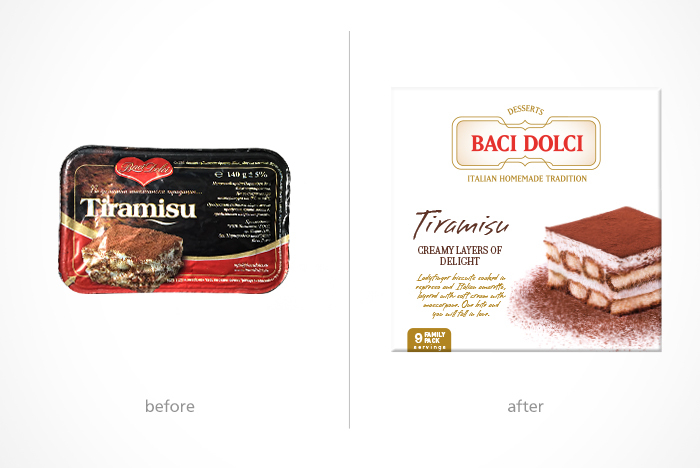 Develop a new identity with a series of package designs intended for export. 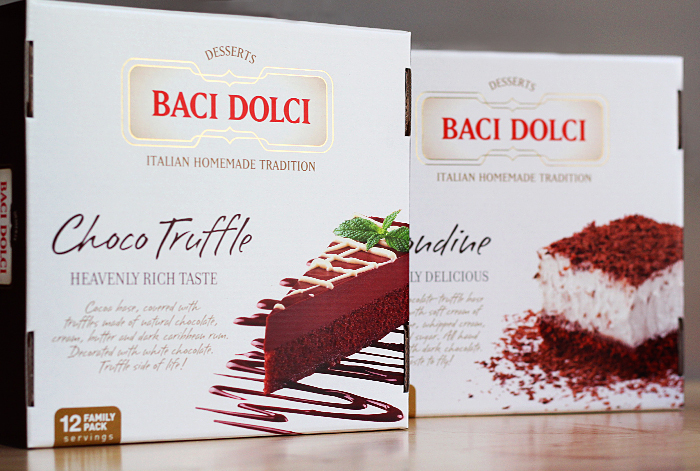 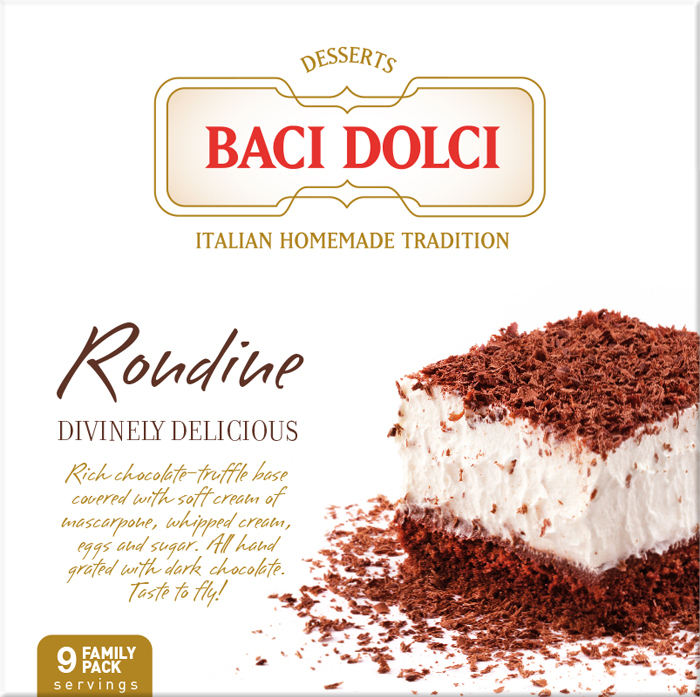 We designed the new identity inspired by the Italian spirit and style of the Baci Dolci recipes. 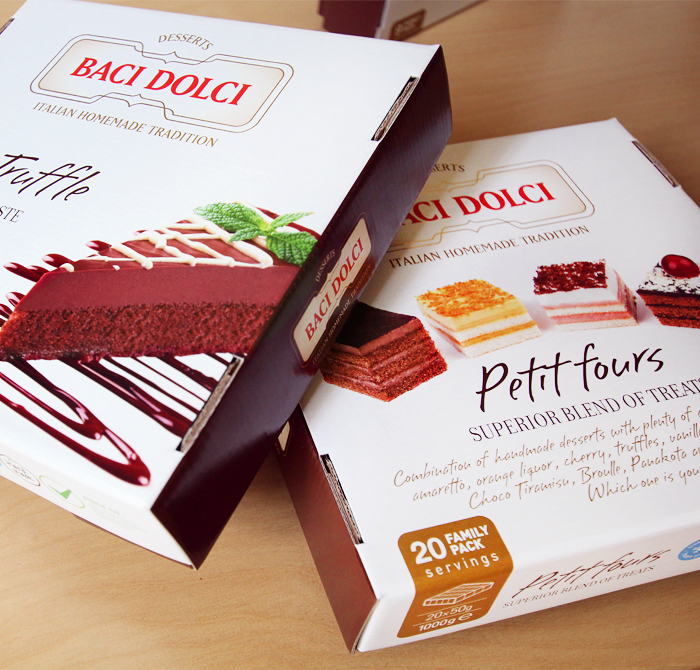 The package designs are free of clutter with highlight on the brand name and products inside. 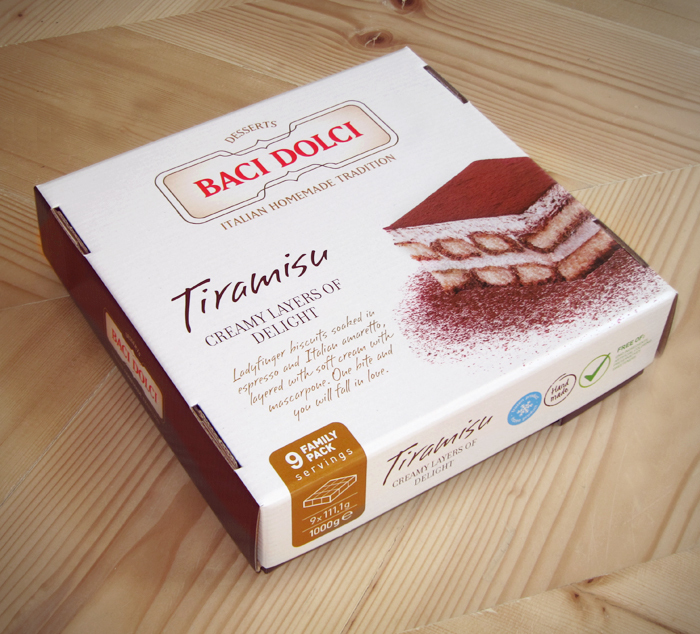 The final result is a clean set of packages, with an authentic and contemporary feel, clearly structured product information and unique photography.